George Leroy Baker, III George Leroy Baker III, with his granddaughter, Leslie Baker Gahagan, at her wedding reception, only hours before he would be murdered. The first of the three black teenagers charged with stomping 81-year-old George Leroy Baker III to death on September 5 in Lynchburg, Virginia, has been convicted in juvenile court. Deputy Commonwealth’s Attorney Jeff Bennett said a judge found the boy guilty Monday during a hearing in Lynchburg Juvenile and Domestic Relations District Court. He is set for sentencing on April 6. Prosecutors at the Lynchburg Commonwealth’s Attorney’s office have refused to name the boy because he was 13 at the time of the attack. Under Virginia law, a child 14 or older charged with murder must be prosecuted as an adult, although if found guilty, a judge may sentence the child under juvenile or adult penalties. Because the boy was 13 at the time of the offense, he was prosecuted as a juvenile and faces a maximum penalty of being sentenced to the custody of the Department of Juvenile Justice until his 21st birthday. State law also provides generally that records and proceedings for a child 14 or older convicted of a crime that would be a felony if he was an adult are open to the public. Bennett said that given the child’s age at the time of the act, "that is open to interpretation." According to testimony in preliminary hearings for codefendants Vernon Jackson, 16, and Kenneth Jerome Davis Jr., 17, the boys attacked George Leroy Baker in the 1100 block of Main Street. Witnesses at the preliminary hearing testified Davis had been drinking and instigated the attack to show off for some girls. Witnesses said the boys struck Baker — an Arizona resident in the area for his granddaughter's wedding — knocking him to the ground, then kicked him before running away. 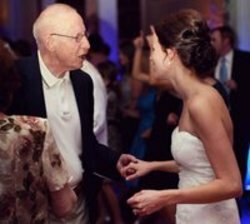 Eighty-one-year-old George Leroy Baker III last Sunday to his son Greg, at the wedding reception for Greg’s daughter, now namedLeslie Baker Gahagan. The elder Baker would be murdered a few hours later that very night. You know something? You just get tired of these stories. Literally. George Leroy Baker III, an 81-year old Arizona man, is in Lynchburg, VA for his granddaughter’s wedding. A group of “teens” beat and kick him to death. Guess what the police say? This story was just on HLN (Headline News). It must have been because a family member came on to say he wants to forgive his grandfather’s killers. All George Leroy Baker III wanted to do was walk down Main Street, from the hotel where his granddaughter’s wedding reception had just been held, to a restaurant for dinner. It was only 10 p.m.
Baker, who had been widowed six years earlier, is survived by three children, seven grandchildren, and three great-grandchildren. Presently in custody, at the Lynchburg Juvenile Detention Center, are three blacks: 16-year-old Kenneth Davis, who reportedly initiated the attack, 16-year-old Vernon Jackson, and an unnamed 13-year-old boy. The 16-year-olds have been charged with first-degree murder and, as per Virginia state law, are presently set to be tried as adults, with the U.S. Supreme Court having taken the death penalty off the table, due to their age. For the first 45 years of my life, I was the rock solid liberal people here make fun of. Escaping from their own kind. Blacks suffer from low cognitive ability and low impulse control, and could never have been integrated as a group into European societies. Denial of the most obvious racial differences have led to catastrophe, including the ruining of dozens of great American cities. There should be a running number posted somewhere representing the number of whites killed and maimed by blacks in the US over the past 50 years. Could be very educational for liars like the one I used to be. Since the newly convicted killer is only 13, he can only be confined, at the latest, until his 21st birthday—which is not bloody likely—and because he is nameless, when he is released and resumes his criminal career, unless he brags about his previous murder, and the press deigns to report this, the public will never know. Should you try and find information about George Leroy Baker III in Wikipedia, or as I call it, The Pretend Encyclopedia, you’ll be wasting your time.The Pretend Encyclopedia is dominated by ideological enforcers who are determined to ensure that the public learn as little as possible about racist black-on-white murders.